Effective hygiene is essential for keeping teeth and gums healthy. Maintaining good oral health makes a major contribution to your overall health. At TLC Dental, our hygiene treatments are carried out by Carla. She is double qualified, both as a dental hygienist and a dental therapist. She will help you to keep your teeth and gums healthy, and maintain fresh breath. To reduce the risk of gum disease, bleeding gums and dental plaque building up. As gum disease is the biggest cause of tooth loss, this in turn helps you to keep your teeth for life ! 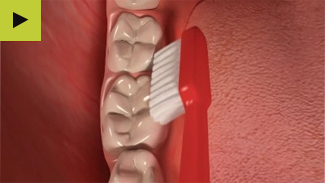 To significantly reduce the possibility of cavities, and the need for fillings. This too helps you to keep your teeth for life ! To remove the stains you can get from drinking tea, coffee and red wines, as well as stains from smoking, and certain foods. This can help to give you a beautiful smile ! To educate you on how best to brush, floss and maintain your teeth at home. To provide early prevention and restorative help. To reduce the likelihood of chronic conditions such as diabetes and heart disease – which have been shown to be associated with poor oral hygiene. Copyright © TLC Dental. All rights reserved. Cosmetic dentists in East London, Plaistow offer dental hygiene with professional cleaning, polishing & scaling teeth in order to prevent tooth decay.